You and I both are constantly trying to keep up with social media platforms competing for our attention. I’m also guilty of spending hours a day on my phone scrolling through Facebook or Instagram, lurking various accounts and liking their visuals. But one sleepless night I came across social media visual gold. 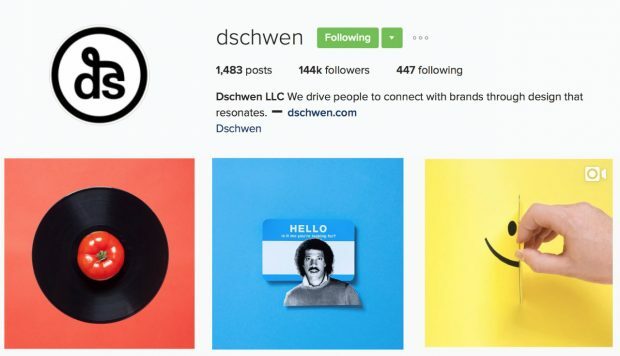 A creative studio’s Instagram account called Dschwen popped onto my radar. Two things about their imagery resonated with me. One, they mastered a simplistic style and remained consistent. Two, they were able to make design compelling and engaging despite being minimal. Image via Dschwen on Instagram. These visuals don’t linger in the distance of the canvas, but pop out at you, drawing you deeper into the content. Any time one of Dshwen’s images shows up in my crowded news feed, I recognize the account’s distinctive visual style immediately. But, why do you need visual content? I get it. You’re busy. Managing a promotion calendar, or consistently producing new written content is time-consuming enough as it is. But, you’ve likely heard before that 65 percent of people are visual learners and 90 percent of the information we absorb is visual. Think about it, social media is now an integral part of our day-to-day lives. 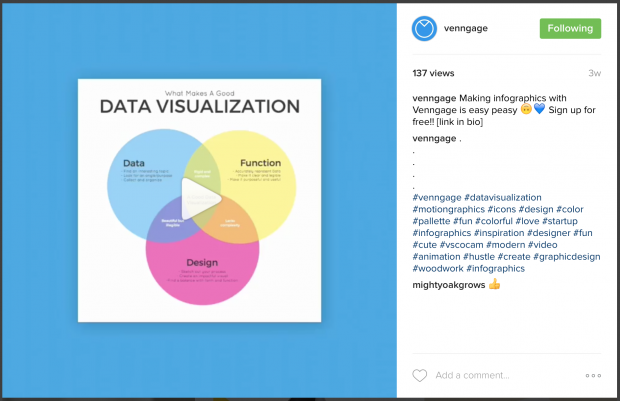 Visuals have become a vital component in engaging our audiences. 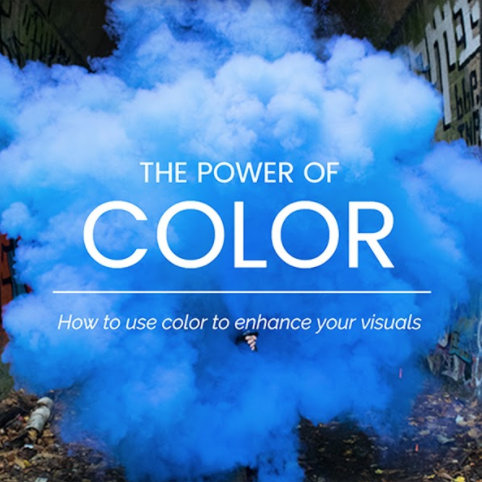 To help you keep up, we’ve put together this simple, yet thorough guide to help you create beautiful visuals that stand out from the rest. If this idea is still daunting, I’ve also featured some free templates for you to access. As I’ve mentioned, I like lurking social media accounts. I say this with pride. I keep tabs, bookmarks, and screenshots of those babies as a source of inspiration. 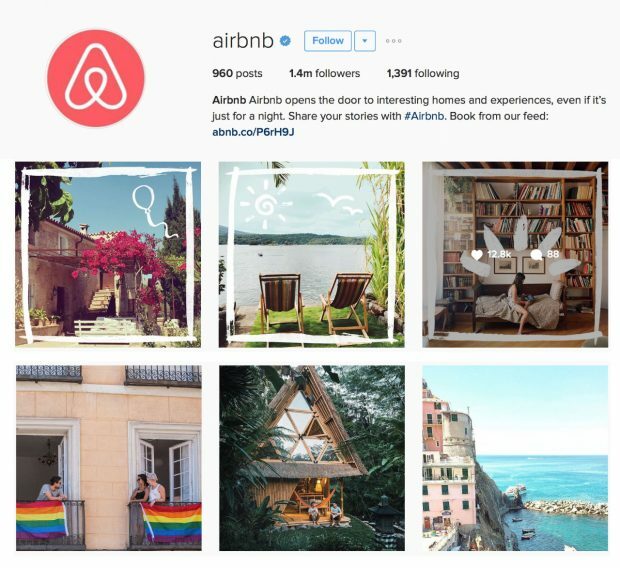 Here’s a quick snapshot of Airbnb’s Instagram account. Image via Airbnb on Instagram. They have gotten tons of recognition for their Instagram content. Yes, their photos are beautiful but the visuals go beyond that. AirBnb has managed to capture the ‘essence’ of travelling and making people feel like they belong anywhere in the world. How can you and I learn from them? First, you need to determine your goals and messages. AirBnB’s goal is to inspire people to travel the world, while feeling at home. As a result, they present beautiful travel photos that give off a sense of community, or homey feeling. Here’s the thing, it’s more than likely your idea for a visual has been done before. But it’s not about inventing a new style. Your goal should instead be to adapt a style and establish your brand with a consistent aesthetic so that people can separate your content from the noise. Take a look at Casper, a mattress brand which uses illustrations, patterns and bold colors in their social strategy. The style is nothing new, but their execution is excellent. The brand utilizes specific elements of a recognizable aesthetic and adds their own spin on it, complete with a consistent color palette. Image via Casper on Facebook. 1. Do you have an established color palette or theme? If so, stick to similar visual styles across all platforms so your brand carries on a consistent appearance. Venngage has a brand kit feature which can make designing visuals with consistent colors simple. Here’s an example of what Casper’s brand kit could look like. Finding a source of inspiration can really help you jumpstart your visual marketing career. It’s not about mimicking a style, but rather adapting elements from different areas and making them part of your own style. 3. Are you aiming for a consistent visual style? Use templates to make this process easier. 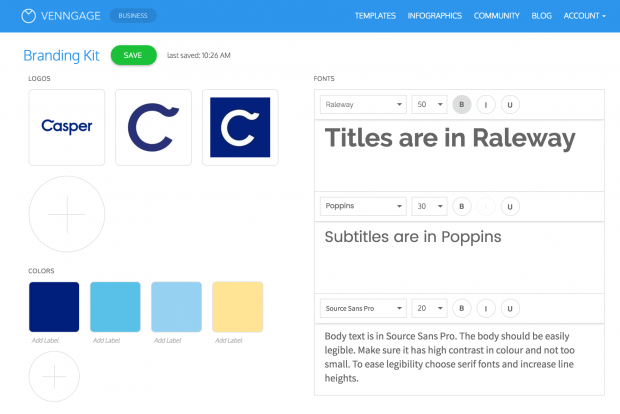 You can reuse one template by changing up the images, color schemes, and fonts. This process will make it easier to change small features of your visuals, while consistently maintaining your brand’s appearance. Figure out the best platforms that will make your ideas shine. Certain platforms will highlight and emphasize your product or ideas more than others. The great thing about visual content is that it’s easy to share your work across different social media sites. It’s important to experiment and find what works best for you. So whether you are tackling just one platform, or you’re hoping to expand your reach on multiple social media sites, here are a few things you need to know about how to optimize your visuals. First let’s start out by getting better informed about the ideal image sizes for various social media platforms. Start by taking a look at this awesome social media image size cheat sheet. 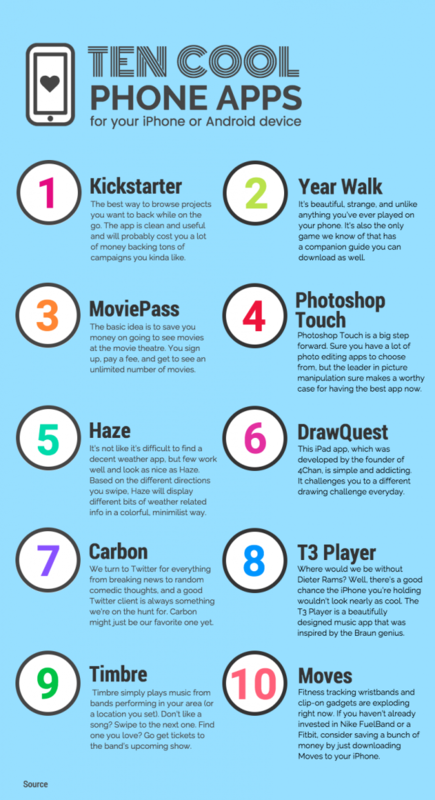 This will give you a better understanding of how to repurpose your visuals for Facebook, Twitter, LinkedIn, Instagram, and Pinterest. Once you understand the sizing, you can move on to creating specific and high-performing content for those platforms. People spend an average of 42 minutes a day on Facebook, 21 minutes on Instagram, 20 minutes on Pinterest, 17 minutes on Twitter, and 10 minutes on LinkedIn. That’s almost 13 hours a week spent on social media. In other words, that’s millions and millions of people consistently scrolling, posting, liking, and sharing content on loop. Therefore, it’s very easy for your content to get lost in the clutter of these various social media platforms. One small feature that’s available on Facebook, Twitter, and Instagram that can benefit you is the autoplay of GIFs and videos as you scroll through feeds. Image via Avarie Graham on Facebook. This is a perfect opportunity to utilize that feature by making your visuals longer. Longer doesn’t necessarily mean increasing length by several minutes. It can mean as little as five or 10 seconds. By making your visual content even slightly longer, you give yourself more opportunity to send your audience a stronger message that actually sits in their mind. Of course, video and GIFs aren’t the only way to send your audience a message with visuals. Here are a few of the most popular use-cases of visual content for promotion on social. These tactics can be applied to Facebook, Instagram, LinkedIn, Twitter, and Pinterest. 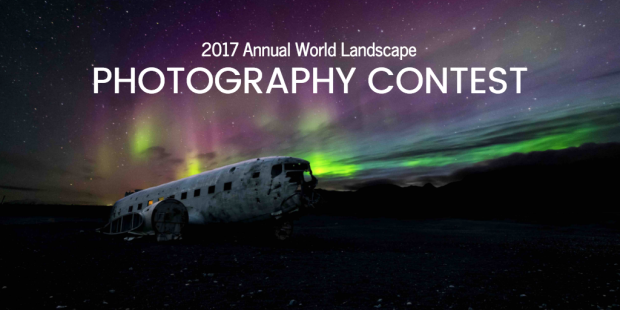 In the picture below, notice how National Geographic utilizes their photography as a backdrop for their promotional content. Image via National Geographic on Facebook. Make the main title three times larger than supporting titles to add emphasis. If your image is dark, choose a light font color to add contrast and vice versa. You can try it out yourselves by playing around with this and many other free social media templates. You can even swap out images and add other elements to personalize it. Infographics are another great tool for social media. They easily summarize complex data and information, and have been known to drive tons of engagement on social media due to their evergreen nature. 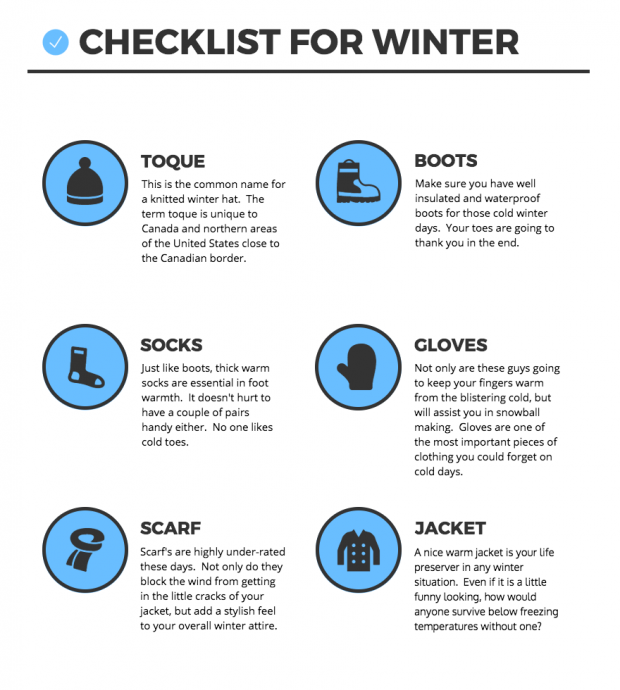 Don’t go overboard with a longform infographic. The longer the infographic, the narrower it will appear on the feed. Be concise. Use visuals to further explain your ideas with icons, images, or charts. Section your infographic with numbers, colors, or shapes to make it easily readable. Here are a couple of examples of infographic templates that work well on social media. All three are similar infographic designs. They each include a list but they are organized in different ways. The first one uses icons to reinforce words visually. The second one uses actual numbers. Numbers can help guide viewers through an infographic. 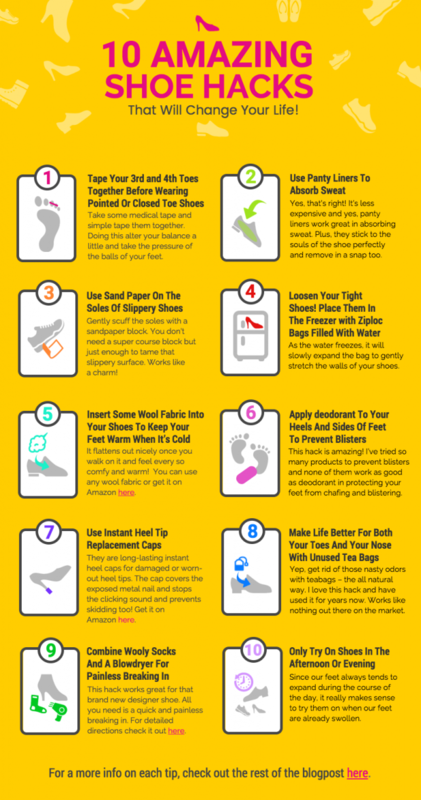 The third is a step-by-step infographic with diagrams. Icons here are paired along with numbers to ensure proper flow and engagement. When sharing across different channels, crop infographics down and share one point each day over a number of days. It will keep your audience waiting for the next part of the puzzle. Next, if you’re sharing some hard-hitting data on, or recent trends for that matter, creating a visually appealing chart can help you stand out from the crowd. During the 2016 U.S. election, charts and data visualizations were very common on social media. Not only did they increase people’s awareness of the polls, but lead to a lot of conversation online. Make the chart stand out by making it the central focus. You can do this by using small headers and subheaders. You’ll need room for labels and stats as well. See how both chart examples below have a title placed in the top margin so the chart is well emphasized. Use a variety of colors to make the stats stand out. Both of these charts were made with the free chart maker Beam. Chances are if you have a business that markets online, you have a blog. The unfortunate thing is that so many blogs use really terrible stock photos that do very little to engage audiences. And when you share those blog posts on Facebook, Twitter, and LinkedIn, guess what the first thing people see is? That stock photo. Having a captivating blog header is another great way to increase the traffic to your site by taking advantage of Pinterest and Instagram audiences as well. A powerful image can even increase your click-through-rate by up to 42 percent. Make the main idea stand out. There are times when you don’t need the whole blog title to be featured in the blog header. When using photographs, make sure you place text on top of subjects that either have a flat surface of color, or negative space. Text shouldn’t be an optical illusion. Make it simple. 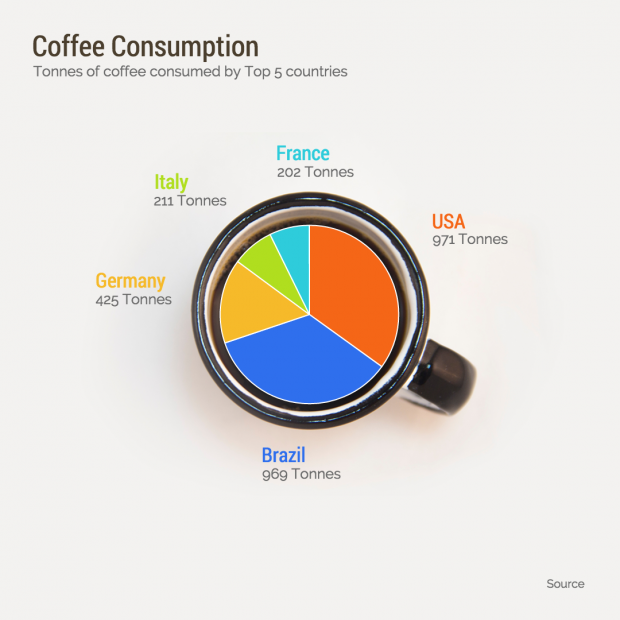 The title for this blogpost is 6 Ways To Use Infographic Icons Like A Pro, which is a rather wordy title and a bit too much text to include in a header image. Extract the main idea (in this case “icons”) and the header will then showcase what the blog post is essentially about. For blog titles that cannot be encompassed in one word, the trick is to highlight the main idea by using textual hierarchy. See how color here is at least three times the size of the subheaders? It’s all about emphasizing the meat of the content. And of course, with Facebook, Twitter, and Instagram’s automatic video and GIF replay, by incorporating animated videos you will demand your audience’s attention. And, if editing videos is not your forte, using GIFs instead is a great start. Animated GIFs are made of several compressed images strung together, similar to stop motion videos. It’s as easy as moving elements on your image, saving the different variations, and then arranging them in the sequence you want. You can create them using Giphy or if you’re looking for a certain GIF to suit your needs, you’re guaranteed to find it there. 1. If your GIF contains text, try to keep the movement subtle. You still want the text to be readable. Image via Avarie Graham on Instagram. 2. Think about how you might make static visuals into engaging GIFs. At Venngage, we did this with our Game of Thrones visualization where we mapped out all the betrayals from the show. By creating a GIF, the clusters of the betrayals became more apparent. 3. 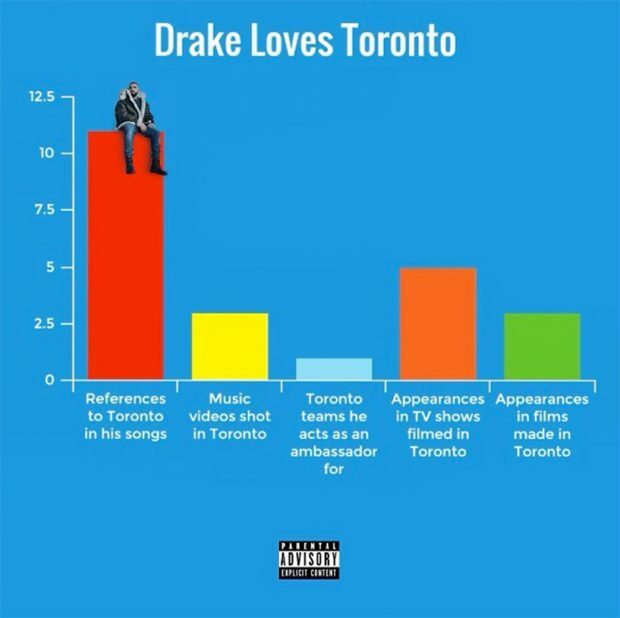 Infographics and charts can be turned into GIFs as well. You can highlight certain bits of information and rotate it, helping you tell your story in a more compelling way. This simple map highlights locations with changing descriptions making the infographic compact but informative. It’s now your turn to pump up your social media game. Remember, using templates for your visuals can make this process easier since it helps with brand identity and consistency. It’s also going to cut design time in half. Reusing and repurposing is the way so many social media marketing experts are able to whip out tons of original images without breaking the bank. You don’t need to be a designer in order to create images that people love. You just need a few minutes and a solid image maker. Want the best social media images? Get Hootsuite Enhance, a mobile app that allows you to easily find, crop, edit, and share photos to all your social networks. Joanna is a junior designer at Venngage. She is a trained graphic designer who took a stroll on the freelance route but now calls Venngage her home. Her creative juices are fueled by a good cuppa tea, spicy food, and books.